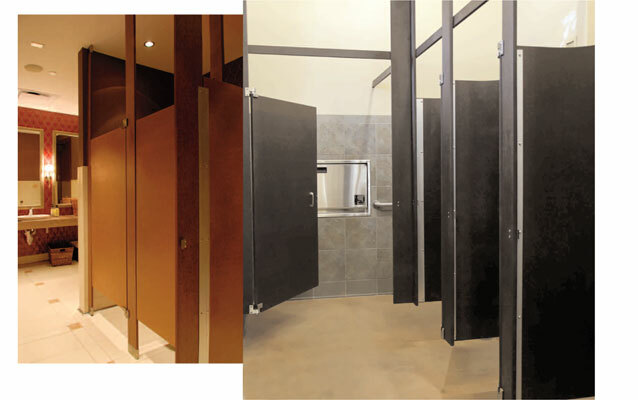 All Eco-Screen™ Privacy Partitions are available in FLOOR MOUNT, FLOOR-CEILING AND CEILING HUNG options. Although we recommend our Floor Mount option for most installs, when a Ceiling Hung install is preferred or a necessity Eco-Screen has perfected a method of Ceiling Hung installation making this option very affordable when compared to other competitor ceiling hung partitions. Note: Ceiling Hung installs make cleaning and maintenance a snap. Very easy to mop and sweep under partitions when nothing is mounted to the floor.